A new master on main plan being built at Muirfield Park in Milton, GA! The Manchester features a master on main along with a secondary bed/bath on the main floor. This basement home is 4 bedrooms, 4.5 baths, 3,810 sq ft that includes a 3 car garage, 2 story family rm w/fireplace, 10' first floor ceilings with 8' doors, site finished hardwoods, chef's kitchen w/painted cabinets, KitchenAid appliances, walk-in pantry, island and butlers pantry. Private one acre lot with golf views. Summit Hill Elementary, Hopewell Middle, Cambridge High School. 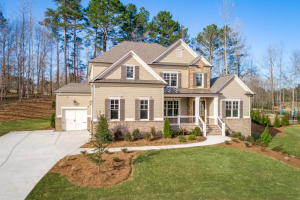 A spectacular master on main plan is being built at Muirfield Park in Milton, GA! This St Michelle basement home has 4 bedrooms and 4.5 baths, 4,097 sq ft featuring a 3 car garage, large master suite on main with luxurious bath, 2 story family rm w fireplace, keeping rm, gourmet kitchen w/painted cabinets, KitchenAid appliances, walk in pantry, island and butlers pantry. Covered porch off the rear. Private one acre lot with golf views. Summit Hill Elementary, Hopewell Middle, Cambridge High School. 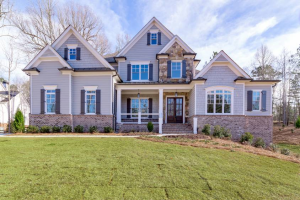 Spectacular New Construction Home in Brookhaven. Exterior of brick/shake/siding, this basement home with three car garage features an open floor plan with ten foot ceilings on first floor. Gourmet kitchen/breakfast room open to family/great room. Mud room off garage and dining room with butler's pantry. Study/library and guest room on main. Elegant owner's suite with luxurious bath. Spacious secondary bedrooms with private or Jack & Jill baths. Upstairs laundry room. To Be Built.....Fall Delivery. Montgomery Elementary, Chamblee Middle, Chamblee Charter High School. Only New Construction in Ellard! 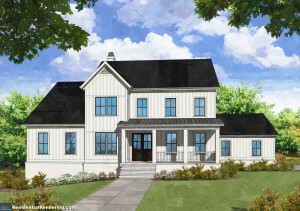 The Battery plan is a 5 bedroom, 5 ½ bath, 4,520 sq ft that features a gourmet, entertaining kitchen with Quartz countertops overlooking a keeping rm with stone fireplace, 2 covered porches, spacious guest suites with private baths, master suite with sitting rm, jetted tub, exquisite trim package and a beautiful cupola! River Eves Elementary, Holcomb Bridge Middle, Centennial High.